A lock is an essential item that you will need in your gym bag for your trip to the fitness center. Some sophisticated fitness centers have computerized locking systems, but the majority of them don’t. It’s best for you to get an old-fashioned number lock and take it with you. Yes, most fitness centers do offer you towels, but it’s better to bring your own towel as well as your own washcloth. This is a must if you are a person who does not like having contact with foreign linens and such. A pair of flip-flops are golden for those moments before and after a shower. You can use them if you do not like to make foot contact with strange showers, as well. Your change of clothes is probably the most important thing that you will want to bring to the gym. You’re going to wash that sweat off of your body and change into something comfortable before you go. You should have socks, underwear, a shirt and your favorite pants or skirt. Your personal items are your toiletries such as your mouthwash, toothbrush, deodorant, lotion, shampoo and conditioner. Bring those items with you so that you can freshen up 100 percent when you are done with your amazing workout. Nothing feels as wonderful as a shower, a change of clothes and a touch of cleanliness from your favorite toiletries after you work out hard. The most frustrating thing that can happen to you at the gym is that you can run out of energy on your cell phone. That could end your workout by preventing you from being able to listen to your music. Bring a set of amazing over-the-head headphones when you go to the gym, and bring a cell phone that is fully loaded with your favorite workout songs. You may not want to listen to the same music that the fitness center is playing. Come equipped with all the music you adore and a headset that can blast it into your ears. Finally, bring some money so you can have a nice, refreshing smoothie when it’s all said and done. Smoothies are absolutely wonderful after a workout, and they replenish your energy nicely. Coffee is a good element to use before a workout. 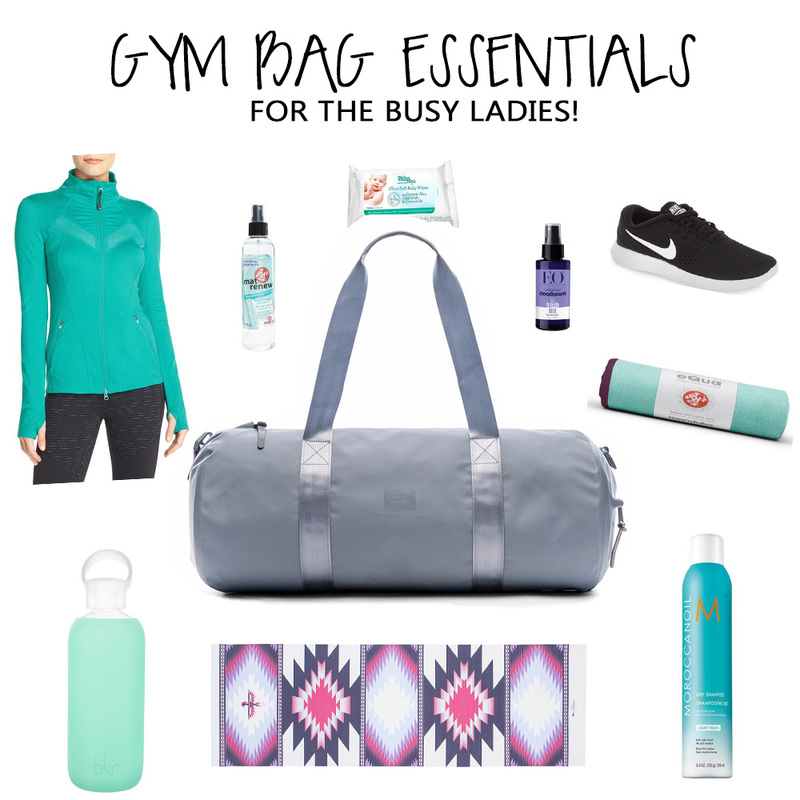 Those are eight essential items you will need in your gym bag. You’ll need more items than that, but those are the ones that you can’t be without.